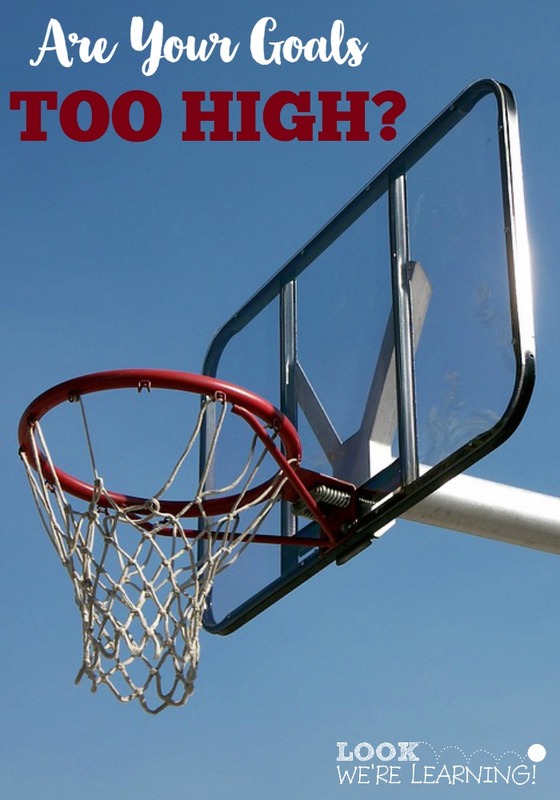 Are You Setting Goals Too High? Well, it’s almost February. Also known as “the month where goals go to die”. I really think that we should move the start of the year to a different month. One that’s not followed by the abyss of bleakness that is February. March would probably be good, don’t you think? Until then, we have to find a way to keep our goals for the year alive past this month. And that means taking a hard look at them to find out if they’re even reachable in the first place. 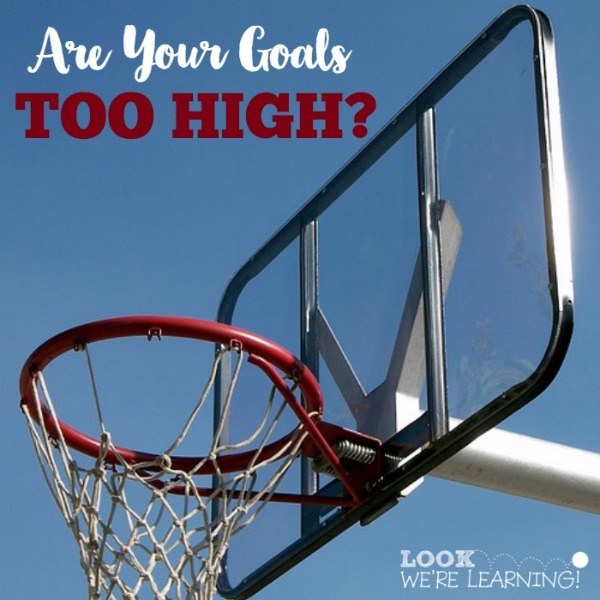 We talked about how to set reachable goals last month, but what if you’re still setting goals too high? It’s as simple as that. A goal that is reachable is generally one you will reach. Now I know what you’re thinking: “Selena, some of these goals are ones I can reach. I just don’t put in the effort.” And my response to that is: Then that goal is too high for you right now. If you’re a parent who works outside the home, for example, you might set a goal of eating dinner with your children at night. But if your boss comes into your office with an urgent project that’s due at 7 pm, you’re not going to reach that goal that night. Period. Depending on the kind of work you do, that goal may not be reachable for you right now. If you’re a person who hates the taste of water, you might set a “reachable” goal of drinking 8 glasses of water a day. Sure, you should drink 8 glasses of water a day. But are you going to reach that goal if you hate water? Almost certainly not. Have you ever stood underneath a regulation-sized basketball goal? It’s pretty high. Way higher than the Little Tikes one my kids play with in our backyard. Naturally, when they want to play basketball at the park, it doesn’t go as smoothly as it does in our yard. But we work on one thing at a time: learning to dribble, how to hold the ball, how to develop a jumpshot, how to use the “Granny” shot to get the ball high enough to reach the goal, how to block. As they learn those things, something major happens. They get older and they grow. Before they know it, they’ll be tall enough to make those shots and they’ll never notice what they “couldn’t” do. And that’s how it is when we set goals that are too high. We can usually still reach them. It just takes longer. And in the meantime, we can keep our focus by setting little “stepping stone” goals to accomplish along the way. Going back to our working parent example earlier: You might not be able to have dinner with your kids every night, but can you read them a bedtime story each night? Can you have breakfast with them in the morning? Those things totally count as connecting with them too! What about the person who hates water? The first goal has to be: Learn to love water! If you find ways to like it, drinking 8 glasses a day will come easily. So if you realize your goals for this year were a little too ambitious, don’t scale them down. Break them! Split them into small goals you can reach sooner that will motivate you to keep going. Here are my goals for February 2016. As I mentioned last month, they’re set up in categories. One parenting goal, one financial goal, one blogging goal, one fitness goal, and one homemaking goal. Parenting: As a mom of four, it’s tough to have one-on-one time with each one. But I really need to find a way to get it done. So look for a post about that soon. Finances: I’m on a mission to save money this year and I’m continuing with a flat amount to save this month. It’s ambitious, but it’s doable. Fitness: Tigger and I are running each week, but only twice. If I’m going to do a marathon in a year, I need to up that to three times ASAP. Blogging: I’ve been blogging professionally for nearly three years. And I just realized something: I have a lot of posts that need work! When I look at some of my earlier stuff, I shudder. It’s time to dust those posts off and make them work for me. Homemaking: Books, books, and more books. I have so many books, you guys. I love them all, but some of them are ones my kids (and I) have outgrown. There’s a consignment sale coming up and I’m planning to sort through them ALL before then. 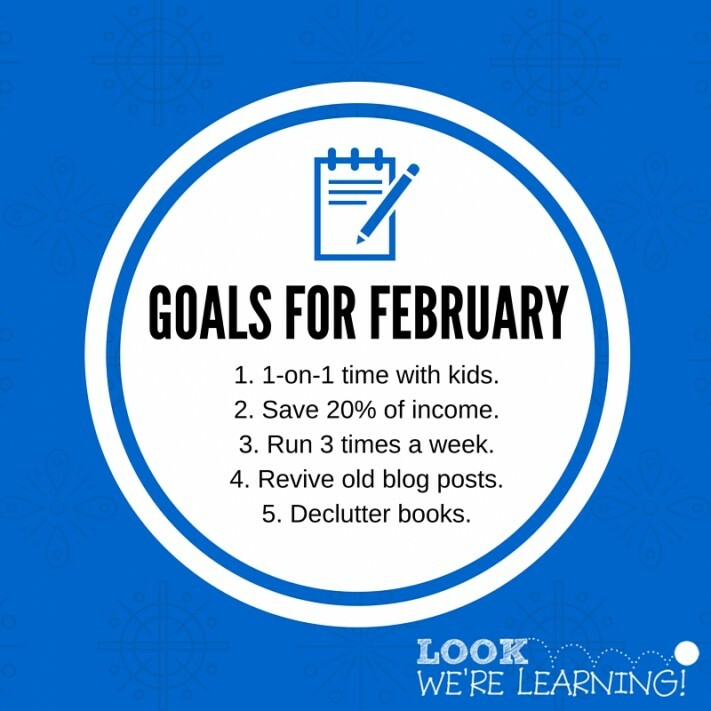 Do your goals tend to…fall off during February? If not, how do you keep from setting goals too high? Share your tips in the comments! This post is part of the Monthly Goals linky – a blog hop featuring bloggers who share their hopes and goals each month! Click over and read the goals of some of my fellow bloggers for this month! These goals are great and doable. Sometimes I do set the bar to high. Life does get in the way and unexpected situations happen. So I’m not beating myself up about and keep at it. I think no matter how many goals you have on the list it’s always very satisfying to check them off. I like to set one or two really high, tough goals. More than that is just overwhelming. However, I definitely agree that rather than focusing on the really tough goal, I focus more intently on the baby steps along the way that will get me there eventually. I am more guilty of expecting too many different goals for myself and then realizing that there aren’t that many hours in my day! Selena- What a great reality check regarding goal setting. That’s the nice thing about setting monthly goals– they’re easier to achieve and attain! Both you and Varya had the brilliant idea of repurposing old content on your blog: refreshing it and improving it. What a great idea. One I need to add to my agenda.